We have been talking about the Galaxy Note 8 for weeks, and we still do not have any real images about the device. This terminal is being prayed, although there is still a month to be able to see it officially in its official presentation. We know that it will arrive on August 23, although there are many more details we know of the terminal. Its design has been filtered at some time or other, revealing a fairly clear line that leaves us with infinite curve display and a double camera at the rear. Today we talk about the headphones of the Samsung Galaxy Note 8, as they could be one of the most interesting incentives when buying the mobile. In the Samsung Galaxy S8 we saw how Samsung allied with AKG to launch an improved headset, both in design and sound quality. The truth is, that in terms of design are very worked, but the sound does not leave us with the expected quality of a headset of 100 euros. Even so, they are included in the Galaxy S8, and significantly improve the previous ones that were included in the Galaxy S7. All the rumors and leaks suggest that the Galaxy Note 8 will arrive with a headphones jack at the bottom, but this does not mean that it also bets on Bluetooth technology. According to the latest rumors, the Galaxy Note 8 could arrive with wireless headphones inside the box, which, want to be the direct competition of the AirPods. These are Apple’s wireless headsets, which although they have a lot of technology inside, are priced well above what they should. Samsung already has wireless headphones on the market, but now wants to integrate them with Bixby to make users have the best experience possible. 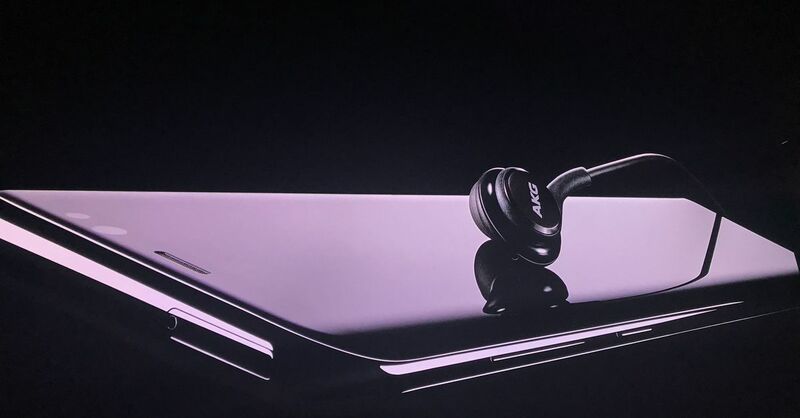 Just as Apple AirPods can talk to Siri, these new Samsung headsets could also talk to their assistant, something that is not currently available in USA. We do not know the design, nor if they will be signed by AKG like the current Galaxy S8, but it is certainly good news, since everything points to that will come inside the box of Galaxy Note 8, which will add a reason of weight to The purchase of the terminal.